Aren't Lindsay's Santas ADORABLE!! I heart them!! She invented that one and I am SOOO making him next week! As promised, I have another Magic Elf FREEBIE for you! 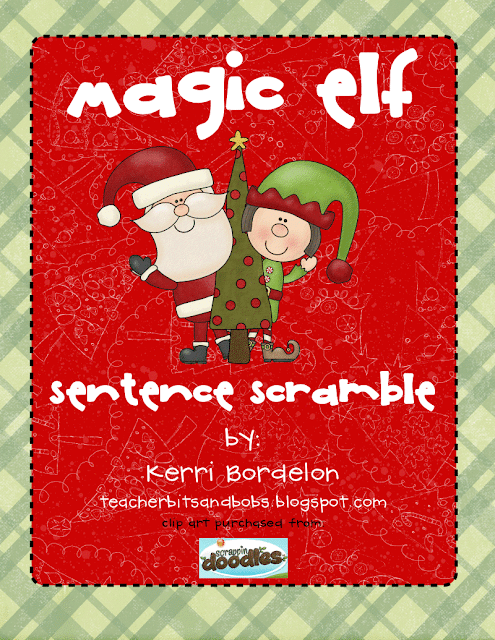 It is a Magic Elf Sentence Scramble for your Literacy Centers! YAY!! Use this writing activity in your writing center for the whole month and allow the kids to write describing sentences about each Winter word, one word per page. Cut apart laminated Winter Words mats to make individual cards. Students choose 5 words, place in ABC order, and illustrate! Use individual cut up Winter Word cards. Students choose 2-3 cards and write a story using lots of describing words, and then illustrate their story in the box. Students choose a picture from the Winter Words Mat, write it in the box, and illustrate it. Next, they find the letters to spell the word. 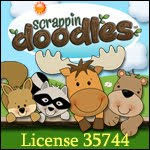 (Letters included in packet-copy and laminate as many sets as you need for students to use). Students will make as many words as they can using the letters from the Winter word that they chose and write in the boxes. Students will match up each Cut-up winter word card to the laminated sentence card that describes it. After matching, students will choose 5 pictures, write the corresponding sentence on the lines, and illustrate the pictures on the back. 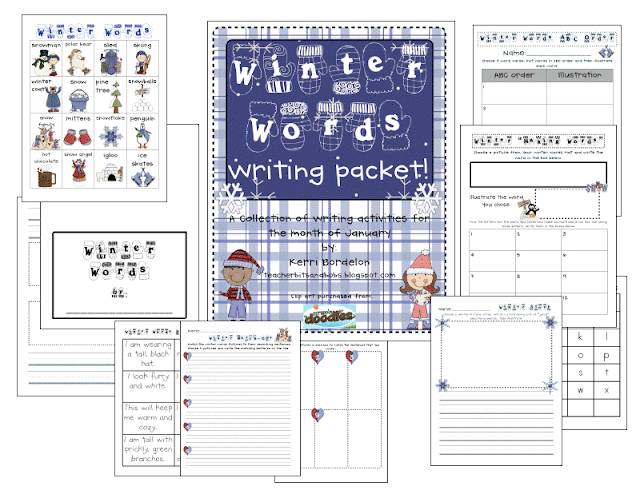 Click on the preview above to got to my TPT store where you can get the Magic Elf FREEBIE and your Winter Words Writing Pack!! I'm off to church, then errands, then a Ducks Hockey Game! Never been before. I'm excited! Thank you! I love your Magic Elf sentences. I just awarded you the Sunshine Award. I'm sure one of many! 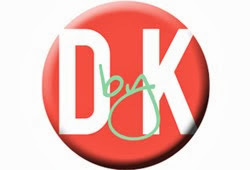 Stop by my blog & check it out! I love the Magic Elf. We have two at home but I haven't used one at school..yet! Your winter unit is also very cute. I just posted a Happy New Year literacy and math unit on TPT. I always want to be prepared that first week back. It includes a baby new year art project. I hope you can check it out.